Looking for private in-home or in-studio Music Performance lessons? Our Galena Park teachers are ready to get you started. Find your teacher today! Check out some of our most popular teachers near Galena Park, TX including Houston, Spring, Sugar Land, Katy and Pearland. Greetings and Salutations! I want to let you know, whether you're a music student or a fellow lover of music, that you have great untapped potential for music! More so than most people would tell you, because music is a powerful, life giving, uplifting gift that comes to all those that love and enjoy it. If you have a desire to pursue music in any shape or fashion. I congratulate you! You open to yourself a brand new world filled with fun, excitement and great opportunities. There is great music potential waiting to be untapped in yourself. I value greatly the time I spend with every student and wish them to become the very best at the instrument they wish to pursue. be opened up. I will help foster a student's ability to see music for what it really is and help them strive for whatever musician they wish to become, whether it be for personal fulfillment, just for fun and recreation, or even in the pursuit of becoming an effective classical musician. My mother took me took a classical concert when I was six and I sat in the front of the stringed section. After the concert I made my decision that would shape the rest of my life, I wanted to become like those musicians. I eventually graduated from a local music school in the following years in piano and violin and immediately went to enter the Tchaikovsky Conservatory. I was among the 10 out of 40 applicants that were eventually chosen, along with being the youngest of them as well. After four years of study, I graduated and received my Bachelor's Degree in Music. I then went on to study for another year and received my Master's Degree in Piano. I was Church Music Director in Kiev for Living Water Church from 2002 - 2010. I directed the adult choir, directed and led church worship services, accompanied various musicians and managed all aspects of church music responsibilities, including budgeting, rehearsals, planning and library management. I also have been a private music teacher for several years teaching adults and young students. I planned lessons with them and established their repertoire. I am also fluent in the Russian language and have extensive computer literacy. I do look forward to meeting you and working together with you in learning music! I pay close attention to the fundamentals of music especially throughout the early lessons. 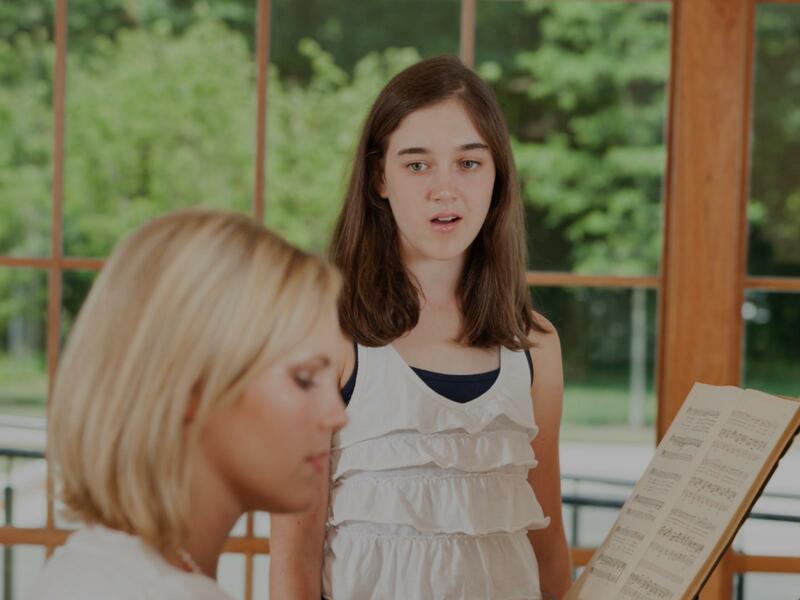 These include reading notes, measuring tempo and rhythm, sight reading, hand positioning, posture, and technique. I believe in positive reinforcement for all my students. Building a kind and friendly atmosphere is paramount for encouraging students, especially children, to continue pursuing music. Everyone I believe has hidden music potential, and I believe the key to unlocking this is through inspiration. Music is a grand adventure of excitement and discovery for everyone. I am very kind and honest with my students and am never too strict with them, but I do require and greatly encourage regularly that they make habitual practice a vital part of their musical education. As the old saying goes, "Practice makes Perfect." There is great truth to that saying especially when learning a musical instrument. I am an older student and I started to learn to play the piano more than a year ago under a different teacher. I started with Eugene about 4 months ago. I was struggling with the piano previously. But after just 2 lessons with Eugene, I found myself playing confidently. Eugene explains so clearly and everything makes sense to me now. I enjoy practicing everyday now. He is excellent teacher, patient, and very professional. He is always on time. Eugene is the best piano teacher I have ever had! He doesn't just know how the teach piano but music as well! I'm so glad that I chose him! I have two degrees, as well as a teaching certificate in music education. of music, or studying an instrument for one’s lifetime. development of a human being. passion for what he or she does. professionals such as doctors, lawyers, and teachers. such as our past president Bill Clinton. Whether the lesson is 30 min. up to an hour, the format is the same: The student first reviews the piece(s) of music and materials from the lesson last week. I'm always emphasizing retention and recall. Next we start on new information and new piece(s) of music. For the remainder of the lesson we do theory and written work, then conclude with older pieces (usually the student's choice). I like to teach out of many method books, such as Faber and Alfred's. All materials are welcome however. Mr David is quite knowledgeable in music and piano in particular. He is very patient with my 6 year old and the latter is happy being his student. Despite what TakeLessons says about my location, I can come to you even if you don't live on the East side. I have been teaching this subject for over 16 years. There is no specific curriculum as each student will come to lessons with their own unique skills, needs, and goals. Lessons are tailored to those specifics. This subject deals with the practicalities of music performance, be it instrumental, vocal, or conducting. Issues covered include entering and exiting the stage, bowing, stage presence, speaking to an audience, dealing with memory issues in performance, and more. I have perform with different band's and at different church's. I have perform with my brass choir band. I took a performance class in college. I am experiences in trumpet and piano, trumpet being my main instrument, been playing both approximately over 25 years. I have in Associate degree in Music education. I have self taught myself to sing alto, guitar, handbells, organ, percussion and french horn for approximately over 15 years. I start learning music off and on from at the age of 10. I started on piano and off I went from piano to trumpet. An along the way I pick up the guitar, voice, percussion, handbells and french horn. I love learning and teaching music to others. For young one's on the trumpet, we will work on learning how to make sounds with big breathes, how to breathe and the name of the notes. As for Junior High/High School or Adults level I will help them with anything they are learning in the school band like "etudes, solo's scale's or anything they bring to the lessons. For trumpet players, I well use any books they are using in school band or a book I think they may need based on their level; I will let them use my book also with the encouragement to bring any music they like or love. I will always make lessons fun and educational. * Age 10 – 13: Music Theory “Base on their level,” Trumpet Book, Exercise Book “Long Tone, Lip slur/Tonguing,” Piece, Fun Song and Major/Minor scales. I try to also do anything they need to work on for school/band. * Age 14 – Adults: I base it on the level of the student, Music Theory “Base on their level,” Trumpet Book, Exercise Book “Long Tone, Lip slur/Tonguing,” Piece, Fun Song, any etudes and Major/Minor Scales. I try to also do anything they need to work on for school/band. For the younger students I enjoy teaching them the name of the letters and the placement of their hands on the piano. My teaching aides include, colors, name games, color pages, flashcards along with songs I have composed or will buy for them. I always encourage students to play any song they like. I have published a beginners trumpet book. I specialize in church music, mariachi, concert and jazz band, orchestra, classical and/or symphony music on the trumpet. I specialize in church music, classical, orchestra, symphony and/or pop on the piano. I started to learn music at the age of 10. I have minored/self-taught myself in sing alto, guitar, handbells, organ, voice, percussion and french horn for approximately eight years. I enjoy learning and teaching music to others. I am able to travel to your house. I have a portable piano keyboard for anyone that does not have one but I do expect the parents to invest in some type of piano and/or keyboard. I can also provide the books they will need. Miss Jennifer is amazing teacher. She been giving trumpet lessons to my son. She is patient and willing to take the time to help him with his music from school. Her teaching method is great. She knows how to work with kids/youth. I recommend Miss Jennifer. I like how she takes the time to really get them to regonize what's going on. & The right keys to use. I give lessons from my house in north Houston and I sometimes go to students homes depending on location. I teach beginner through advanced violin. As a violin and viola teacher, my goal is to give my students fun and productive lessons. I teach my students all the essential technical and musical principles which help them to succeed at reaching their goals and avoid developing harmful habits along the way. I do not follow an exact method or course. My approach is to teach each student according to his/her particular needs which will usually require a combination of books or methods. cluding Ivan Galamian and Josef Gingold. I have also studied with Texas String Teacher of the Year winner Henry Rubin. I began violin as an adult. Cameron has always made certain lessons are at my level. If a technique needs more work, we focus on that. I always leave a lesson feeling like I am learning, and knowing I will continue to progress. My first lesson was today. I know I have made the right choice of instructors. Cameron is great and really wants his students to learn violin the correct way. I tend to want to take shortcuts and he encourages me to learn the foundation and work from there. The real deal, with over tens of thousands of live and studio performances around the globe over 30 years..
Ive studied Performance for 7 years, though this study has gone far beyond musical performance. Ive performed and/or improvised in many challenging environments. Ive performed in many different kinds of venues as well as just playing on the street, also known as "busking". Can't find a teacher in Galena Park, TX?